The NFL approved a rule change Tuesday that will make pass interference calls and non-calls subject to replay review and coaches challenges. NFL owners voted Tuesday to implement the new rule on a one-year trial basis. Prior to Tuesday’s rule change, pass interference was not replay-review eligible. Coaches will now be able to use one of their allotted challenges to call for replay review of a pass interference situation prior to the final two minutes of a half. Like other reviews, pass interference replays in the final two minutes of a half will be initiated by the league’s officiating office. 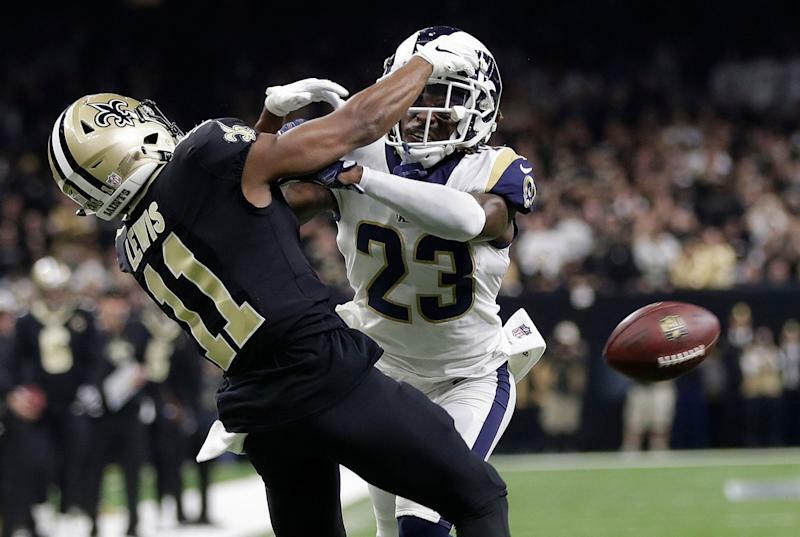 The change was prompted by the controversy in the NFC championship game that saw the Los Angeles Rams advance to the Super Bowl past the New Orleans Saints after a non-call on what appeared to be blatant pass interference on Rams defensive back Nickell Robey-Coleman at a critical juncture of the game. The league reportedly started considering a change to the rule shortly after the game in the wake of outcry from fans, coaches and players. The Saints posted their reaction to the rule on Twitter shortly after the announcement. She said Tuesday that the rule change was the result she was seeking. According to NFL Network’s Mike Garofalo, the Cincinnati Bengals were the only team that voted against the new rule that was approved by league owners by a vote of 31-1. “People compromised on long-held views because people wanted to get it right,” NFL commissioner Roger Goodell told reporters after the announcement. Saints head coach Sean Payton, who pushed for the change, told reporters after the decision that the league got the rule change right.